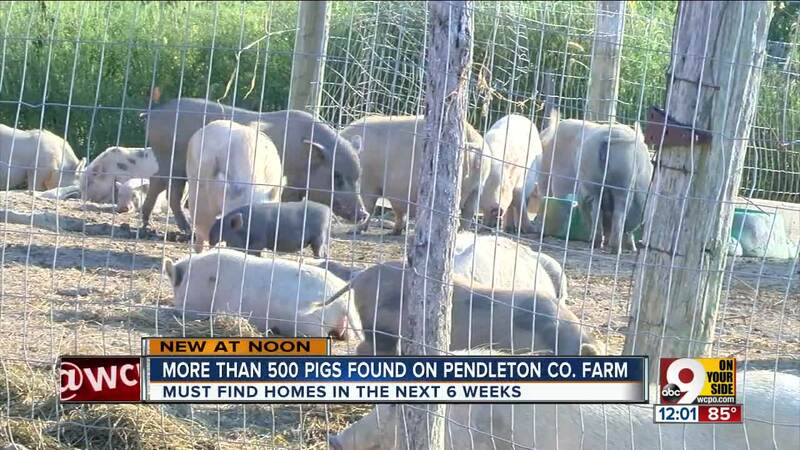 FALMOUTH, Ky. -- Several animal rescue organizations are working to find homes for over 500 pigs living on a Northern Kentucky farm. Joshua Costner, director of Cotton Branch Farm Animal Sanctuary, said the woman who owns the farm took in 15 pigs a few years ago, but the pigs quickly multiplied. “If they're not properly vetted -- if they're not spayed or neutered -- it just continues ballooning, and ballooning, and ballooning, until it's out of control,” Costner said. “And what we've found on multiple cases like this … is it ends up with animals dying of starvation. It ends up with, you know, horrible illness." Costner said many of the pigs are malnourished and several of them are pregnant. Costner said neighbors notified authorities because the pigs were roaming freely. 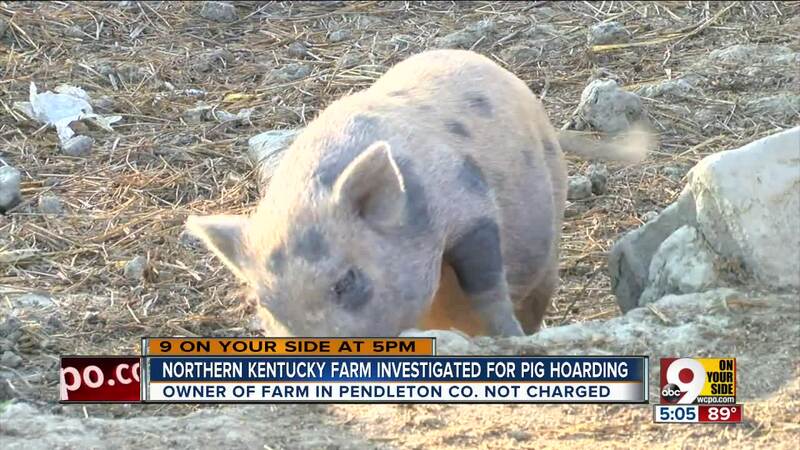 It’s not clear whether the woman who owns the pigs is facing any charges. WCPO has reached out to Pendleton County’s prosecuting attorney. Click here if you're interested in adopting a pig.